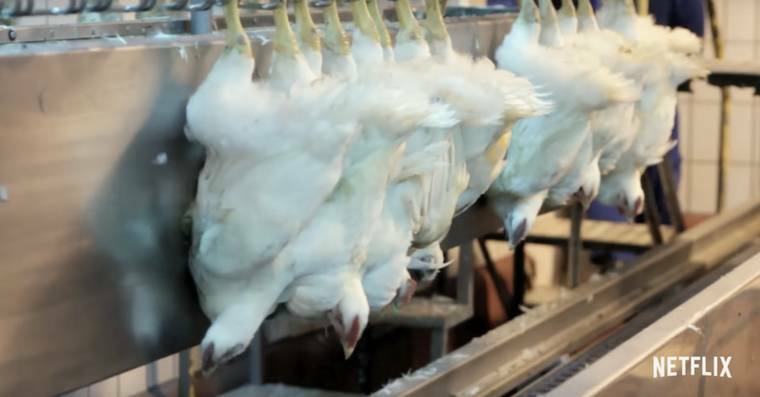 Following the screening of Rotten, the program has come in for criticism from a number of vegan viewers, who claim it overlooks animals as victims of the food system. A Netflix show that focuses on corruption within the global food system has come in for criticism from number of vegans. Rotten - a six-part series - debuted on January 5. According to the network, the series 'dives deep into the food production underworld to expose the corruption, waste and real dangers behind your everyday eating habits'. Each episode tackles a different aspect of food production. Big Bird looks at chicken farming, Milk Money looks at how dairy farmers are turning to producing potentially deadly 'raw unpasteurized milk' in an attempt to boost profits, and Cod is Dead looks at criminal exploitation within the fishing industry. Many vegans reacted to news of the show's launch with excitement. But following the screening, the program has come in for criticism from a number of vegan viewers, who claim it overlooks animals as victims of the food system. Among them are YouTubers 'That Vegan Couple' who made a video about Rotten speaking about what they believed its flaws to be. While Natasha and Luca believe there is merit to the show, as it focuses on food production - something that is often overlooked entirely by consumers, there are problems. In their video they say: "The negative is that [the show] focused on the people within this food production system as being the victims, and they ignored - by and large - the real victims, the animals, when it comes to the chicken and milk episodes. "They are definitely focusing on the human perspective when it comes to being a victim of the food industry." The couple make the point that conditions for humans working in many sectors of the food industry are terrible. They add: "It's terribly exploitative and not fair for anyone [working in parts of the food industry focusing on animals]. "It's not fair for the workers and also for the farmers. "It's not a good scenario for any being involved." The couple believe the show did not empower viewers, and while it painted a bleak but realistic view of production, it did not offer any answers. "The solution is, of course, for many of the issues raised is eating a plant-based diet," says Natasha. Luca added: "For health, for the environment, and for the lives of animals most importantly."